Or perhaps you’ve heard whispers of it. But trust us when we say this is a magical little holiday film, sitting solidly in many, many people’s Top 5 Christmas Films List. Including yours truly’s, but don’t take my word for it, one John Waters has gone on record stating he’d screen this film at every Waters Christmas Dinner, that’s how highly he rates it.  But Cigarette Burns is about bringing you flicks, that for whatever reason you’ve not seen, but really really ought to. If only so you can cherish them as much as we do. 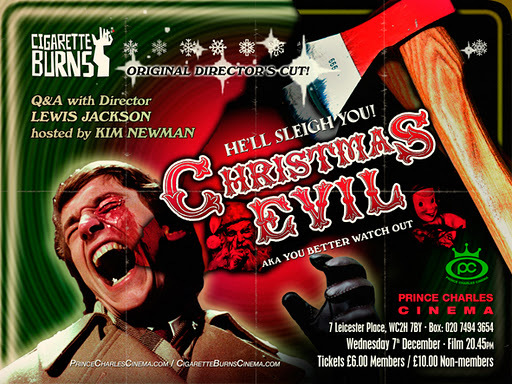 So with that in mind, you can’t imagine how excited we are to present the UK première of Christmas Evil, with an iQ&A with director Lewis Jackson hosted by Kim Newman at the Prince Charles Cinema on 7th December. When those winter nights draw in and the seasonal chill burrows into our bones; when all throughout the house no creatures stir, not even the mouse; we know this can mean but one thing… Saint Nick is coming. However, the gift-wrapped toys that sit under the evergreen are, undeniably, by-products of selfishness and deceit that we happily pass on to the younger generation. And when the holidays roll around, so do the opportunistic slasher or creature features, riding the coattails of whatever holiday hype they can to help push their tat. More often than not, this results in less than favourable results. There have been rare exceptions over the years: gems such as Bob Clark’s early slasher Black Christmas, the brilliant Finnish production Rare Exports and the criminally overlooked Sheitan, starring Vincent Cassel. But none explore the dangers of truly deceiving our children. The innocent children, susceptible to the tales we adults tell them; susceptible to our lazy, disdainful and self-interested ways; these are the darker kinds of realities that the Saint Nick fable perhaps could and should show us. Which brings us to Lewis Jackson’s dark and twisted, yet frighteningly clear-eyed Christmas Evil, or, as he’d prefer it to be known, You Better Watch Out. In which our… hero? Harry Standling (played to perfection by Brandon Maggart, none other than Fiona Apple’s father – yeah, go figure) struggles with his inner demons and ultimately, his own inner Santa Claus. One who is kind to the good, but vengeful and angry when faced with those whose hearts are a little less full and caring than perhaps they should be during the Season of Giving. Jackson’s You Better Watch Out was clearly a project full of passion and drive; in many ways he seems as single minded in his creation as Harry does in his invocation of Santa Claus. After struggling through a difficult underfunded production, the film was ultimately ripped from Jackson’s hands by unscrupulous producers, retitled and relegated to the bottoms of the VHS pound bins – forgotten and deemed as valueless as copper, like lost change down the back of your sofa. But in recent years Jackson revisited his 30 year old property and reclaimed it as his own. He battled the courts and greedy execs, earning the right to present the film as he originally wanted, dreamed and shot it. As the title says, it seems You Better Watch Out. With his third directorial effort, Jackson released on the world an anarchic retaliation to the simplistic capitalistic ideologies to be found in the average Christmas fable. Inspired byTiticutt Follies and German expressionist classics like M, whilst throwing in a soundtrack by NYC No Wave faces James Chance’s the Contortions, You Better Watch Out is easily one of the best Christmas films, more American Psycho than Silent Night, Deadly Night. It’s no wonder that John Waters claims it’s his favourite Christmas flick ever.